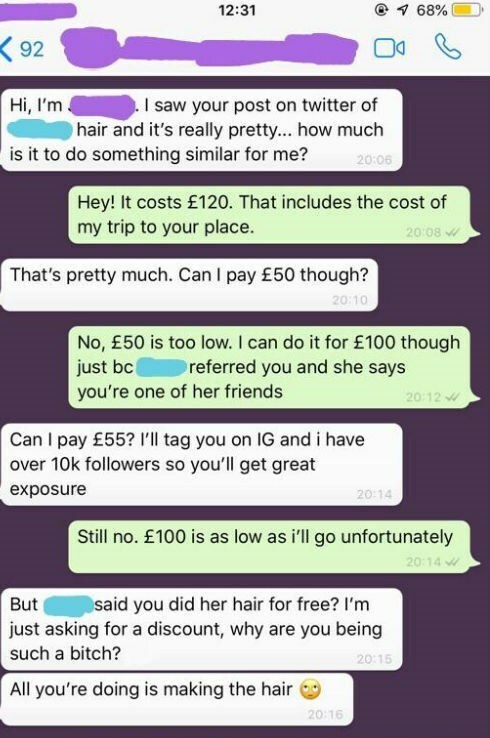 Instagram ''Influencer" Wanted Her Hair Done For Free, Compares Herself With Kim K.
Instagram ”Influencer” Wanted Her Hair Done For Free, Compares Herself With Kim K.
You might have previously read a little about entitlement and freeloaders. So today we will be adding another story to the list, but make no mistakes because each time people reach new heights of stupidity and the following is no different. 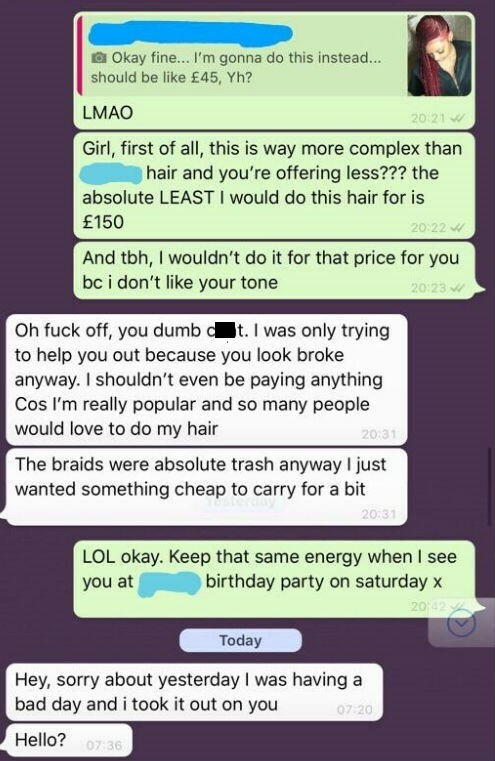 So, scroll on below and read how an Instagram ‘influencer’ made an unreasonable request and expected her hairstylist to be okay with it. As long as the world exists people will not stop surprising us. 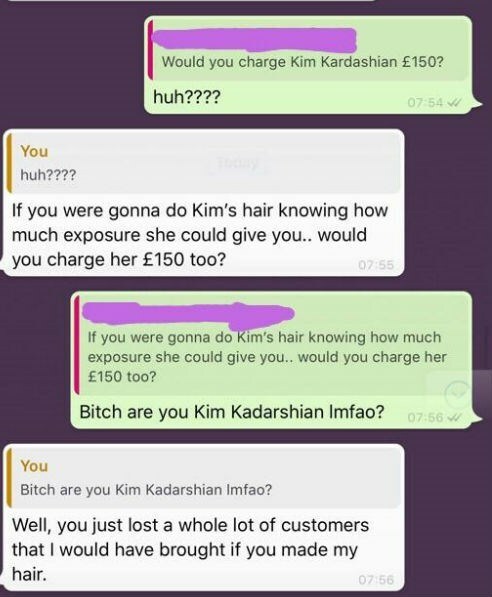 Is she really offering 45 quids? I can’t believe she had the audacity to say that on top of everything. Notice the sudden change of tone. WHAT? 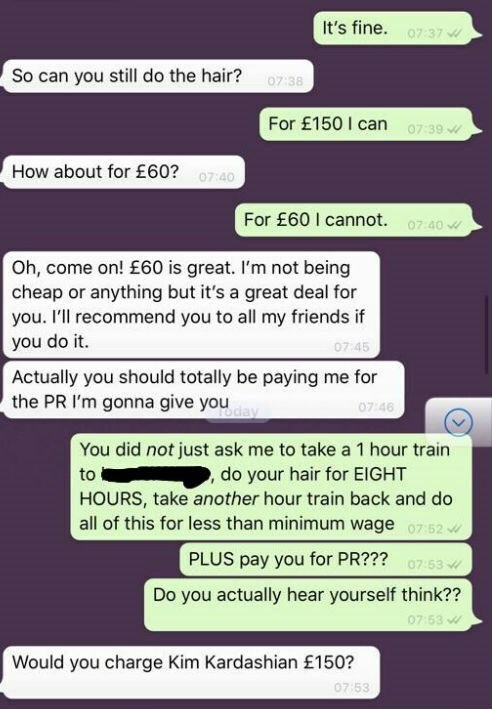 Is she for real? I would’ve blocked that wannabe Kardashian right away. She doesn’t deserve anything. Anyway, that was that. 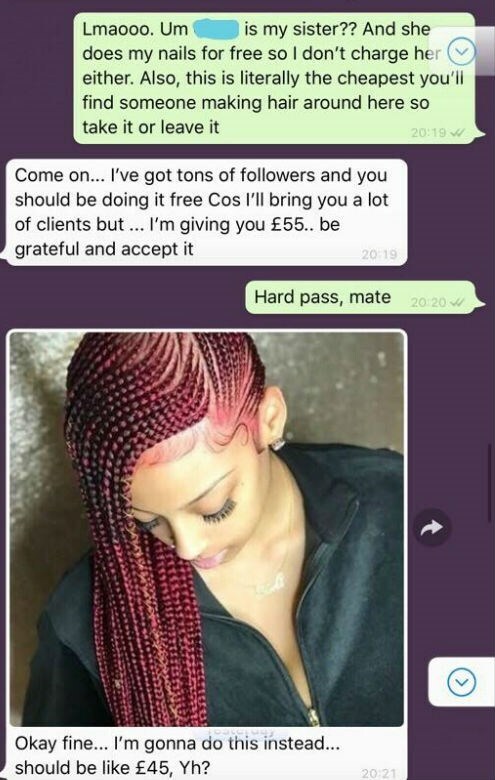 The hairstylist certainly made us all proud. She did the right thing by not listening to that obnoxious woman. More power to you, girl! 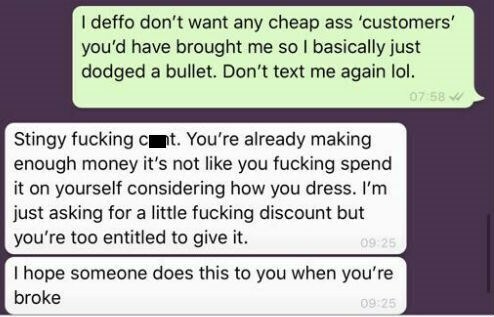 With that being said, how do you think we can end this sense of entitlement found in people? Let us know in the comments below.